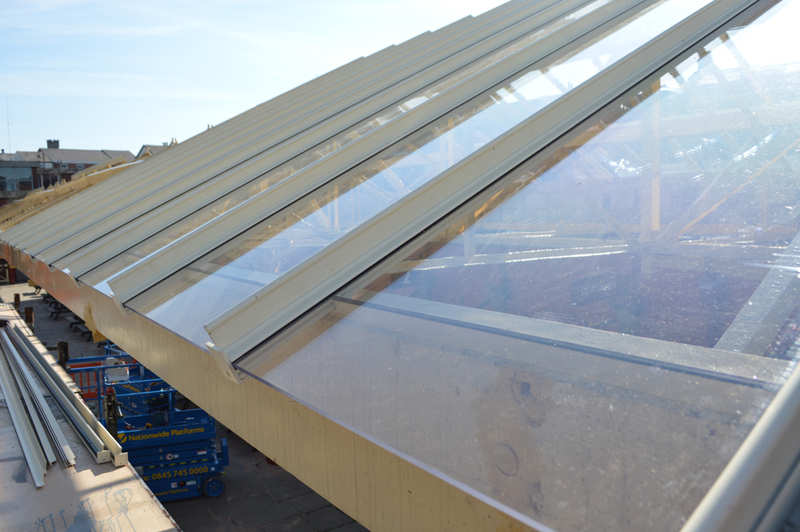 Glazing fitted to the Canopy roof! 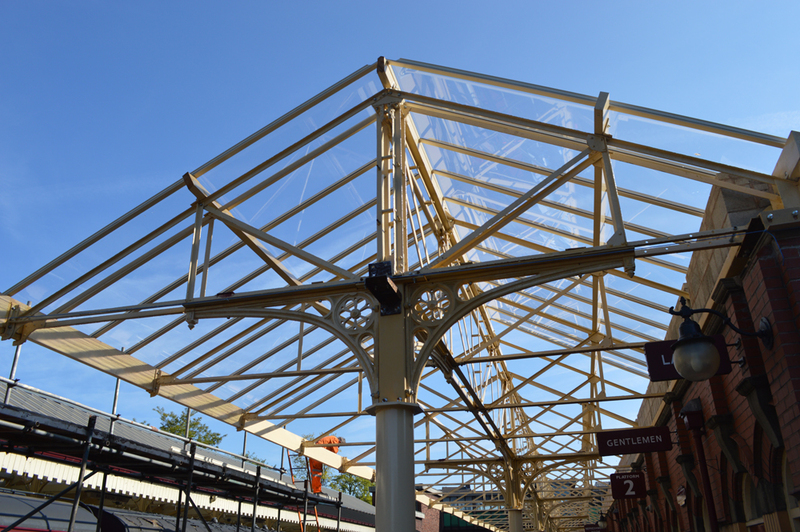 Tuesday 9th June marked the occasion when the canopy project entered the next phase of its erection. 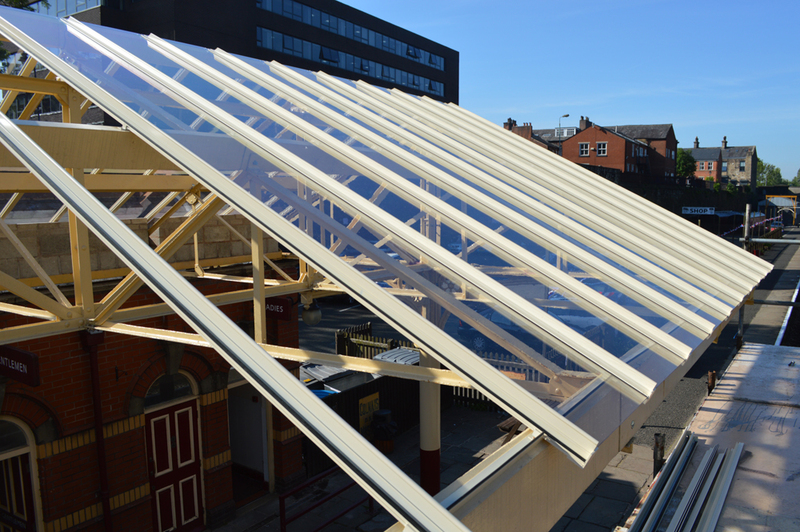 The process to fit the polycarbonate panels, which arrived during May, was started which will once and for all see the roof put up over platform 2. 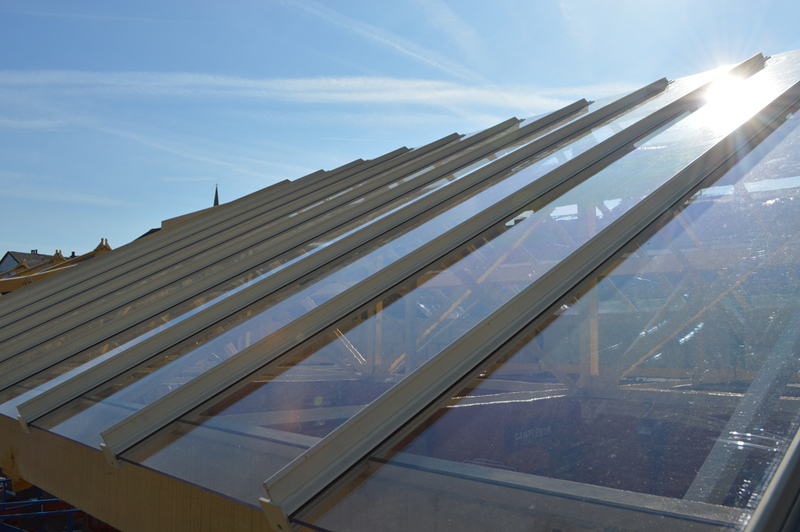 The glazing of the roof is expected to take around 5 weeks in total which will see it completed in time for our annual fundraising event ‘Raise the Roof’ in July which will be welcomed to all those who visit the event year on year to support the fundraising. One section of the canopy was completed during the first week of the fitting stage which was a huge sigh of relief to all those that have been heavily involved in the project and particularly after the devastating news of losing £18,000 to the Robert Horne Group. We hope that by the Autumn work will be completed after all of the valencing, drainage and electrical work is completed.